PRODUCT: PAINT ROLLER FRAME, 18" ADJUSTABLE, CAGE TYPE, HEAVY-DUTY. PRICE/EACH. 18" roller frame, cage type. Fits 18" long 1-1/2" diameter core roller covers. 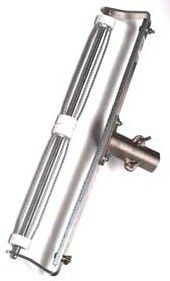 Strong clamp-type handle for taper poles -- prevents cracking or strip out. Use together with 15/16 to 1-1/8" diameter tapered handles. Replacement 18 Inch Cage for Heavy Duty Paint Roller Frame. Fits RF18HD. Price/Each.